The proposed bullion bank can help settle gold loan accounts in gold terms, and promote existing gold schemes, along with launching schemes including gold-recurring deposits. The government is working on a gold policy that will aim at building a higher level of transparency, increase value addition, and protect customers while ensuring the growth of this job-creating sector. 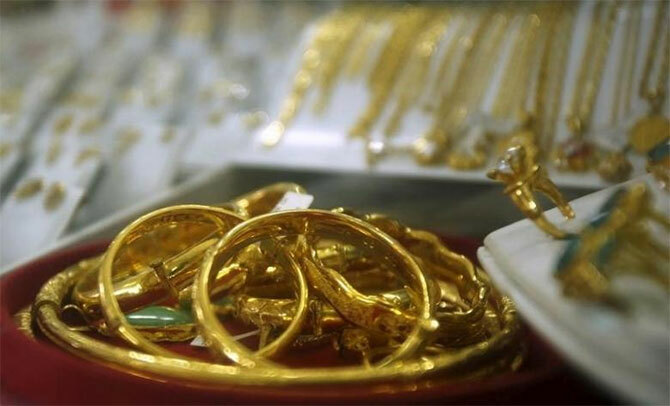 The government, in principle, has decided to set up a gold spot exchange, improve measures for compliance by the jewellery industry, increase value addition in the gold business, implement mandatory hallmarking for jewellery, set up a bullion bank, and prepare good delivery norms and gold standards, among many things it seeks to do. The NITI Aayog had also proposed a tax on the bullion industry at 12 per cent, five per cent goods and services tax (GST) and seven per cent Customs duty. However, the GST rate is an issue that is GST Council is grappling with but reducing the Customs duty cannot happen soon, according to sources. The government has formed an informal group of bureaucrats and discussions are being held with industry stakeholders on this. For making the trading mechanism transparent, the World Gold Council has undertaken a feasibility study on spot exchanges for gold. Details about the spot exchange will be known only after the report is submitted. but, it is said that even the proposals of the IBJA-Bombay Stock Exchange (BSE) to set up the spot exchange will be studied by the WGC as part of the feasibility report. Sources do not rule out India developing its own model for a gold spot exchange. A spot exchange will also have to discuss the issue of transparent trading in recycled gold. Meanwhile, the BSE is working on setting up a spot gold exchange in Gujarat International Finance Tec-City. The Bureau of Indian Standards had issued draft rules on hallmarking jewellery after getting the powers to make it mandatory. Now, comments invited from the public are being considered. As part of the gold policy, this will be an important step to protect consumer interests but implementation is likely to be in phases and a beginning will be made in 10 big cities with high gold jewellery sales. “The proposed gold policy will cover the whole value chain of the gold business and eco-system,” said an official.